With over 110 years of criminal defense & personal injury experience, our board-certified lawyers truly relish fighting for our clients. Our client Jason Minton was accused of sexual battery and kidnapping, and faced the possibility of life in prison for his crimes. We truly believed that Jason was not guilty, and after in-depth research going back 20 years, we were able to find evidence that helped him defeat the charges against him. We brought Jason from facing the possibility of life in prison to walking out of the courtroom a free man in less than two days of trial because of our attention to detail and aggressive defense strategies. That's why we are your community law firm! Drug charges in Florida include drug possession, drug dealing or possession with intent to sell, drug trafficking, and possession of drug paraphernalia, among others. Florida drug possession penalties depend on the amount of the drug (in weight) and the intention of the individual. For more information, check out our tips on Florida drug crime laws below. In Florida, possession of most controlled substances may be considered a felony offense. For all Florida drug possession penalties, the amount of the drug (in weight) and the intention of the individual must be considered before determining the exact penalties. Search and seizure issues are a common occurrence in criminal drug cases in Florida because there are a variety of rules and exceptions that must be considered for each case when evaluating whether an illegal search and seizure has occurred. Most charges for criminal possession of a controlled substance in Florida can be considered felony charges, including selling prescription drugs. A felony drug crime carries more severe consequences than a state drug crime. Being charged with cocaine possession is a serious offence that comes with significant consequences. At a minimum it is considered a felony. 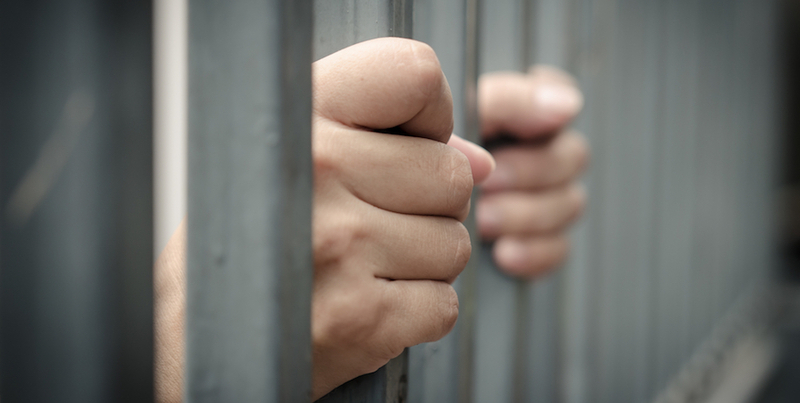 Depending on the quantity found in your possession, there is often mandatory jail time. In light of all the new marijuana laws and increased popularization of marijuana paraphernalia around the nation, it is important to know the facts about possession of drug paraphernalia before you risk a conviction. "I get to work hands-on in shaping policy and helping my adopted hometown of Daytona Beach." Losing a loved one is a devastating experience. If you’ve lost loved one due to the negligence or misconduct of another person, corporation, or any other party, you have the right to sue for wrongful death. A wrongful death settlement can help ease the financial burden you and your family now face, and will hold the negligent party accountable for their actions. When a person dies or is killed due to the negligence or misconduct of another person, company, or any other party, that is considered wrongful death. Common causes include car accidents, truck crashes, and medical malpractice. According to Florida law, a personal representative of the deceaseds estate can file a wrongful death claim on behalf of the deceased persons estate and any surviving family members. A statute of limitations is a law defining how long you have to file a lawsuit. In Florida, the wrongful death statute of limitations is two years. Meaning, you have two years to file a lawsuit. In addition to emotional devastation, the wrongful death of a loved one can cause devastating financial hardships, especially if the deceased was a primary provider. A wrongful death settlement can provide compensation to help ease the burden. Getting a DUI in Florida is never black and white. It is important to understand the legal blood alcohol content (BAC) limit and what will happen if you get pulled over for driving under the influence (DUI) of alcohol or other drugs. Both First and Second Offense DUIs can be classified as either a misdemeanor or felony crime depending on several factors, including property damage and the presence of a minor. To speak to a board certified lawyer about your questions, call 386-492-8694. If you have a blood alcohol content of .08 or higher, you can legally be charged with a DUI criminal offense. DUI consequences in Florida may include fines, license suspension, vehicle restrictions, community service, probation, and jail time, depending on your conviction and DUI history. If you are stopped for driving under the influence, you may be asked to perform a field sobriety test, have your blood alcohol content tested, be handcuffed, and arrested. Once arrested, you will face many additional burdens. It’s essential to speak to a top-rated DUI lawyer as soon as possible. How Long Does a DUI Stay On Your Record in Florida? In the state of Florida, DUI charges can never be expunged from your criminal record. A DUI in Florida will stay on your record for 75 years. This is why it is critical to speak to a DUI lawyer as soon as possible after receiving a DUI charge.